This petition has been created by Andrei P. and may not represent the views of the Avaaz community. We’re at the decisive moment in a long battle to save the villages and mountains of pristine Transylvania. 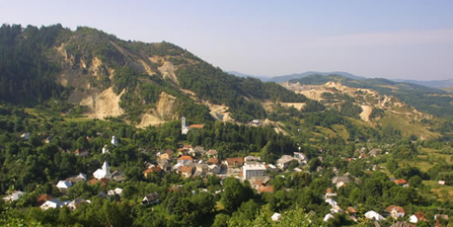 The Parliament just received a draft legal package that would push through a cyanide mining project at Rosia Montana -- let’s make sure our representatives stop the plan to turn parts of the Carpathians into a dystopian nightmare. Protesters are saying that the mine could contaminate groundwater in the whole region and if the cyanide dam bursts as it did in the catastrophic cyanide spill in Baia Mare in 2000, it could poison the Danube River and the Black Sea. A Canadian company owns over 80% of the project so after the gold is mined, Romania will find itself with a veritable wasteland and won’t be much richer for it. And if parliament decides to pass the package, it will be a huge blow to the people's will which has stood steadfast in the face of millions of dollars in marketing campaigns by the mining industry. The Minister of Justice has already sided with the thousands of protesters in the street, calling the draft law unconstitutional. And after public pressure, Prime Minister Ponta, who pushed through the draft law, is already saying that he will vote against it in parliament. If we raise an outcry, we can swing the whole vote against this attack on our environment and our rule of law. We don’t have much time -- the parliament has just started its session and the debate could take place soon. Sign my petition to the Romanian parliament and then share with your friends!